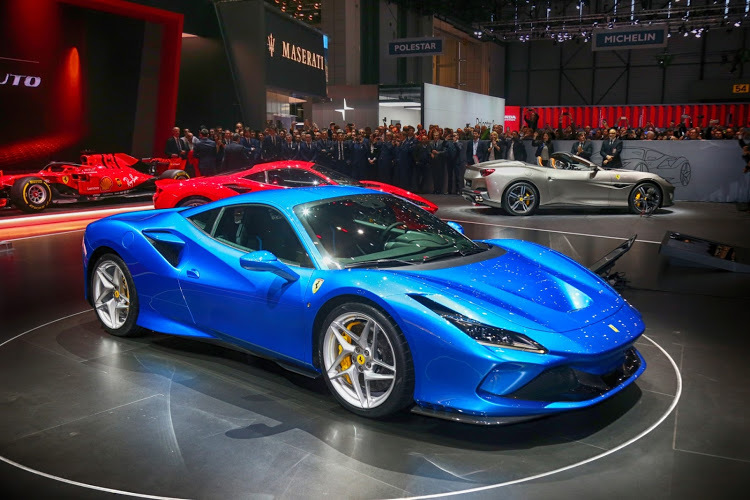 Geneva Motor Show 2019 featured many, many fascinating monsters like the Koenisegg Jesko, Aston Martin AM-RB 003, and Pininfarina Battista. 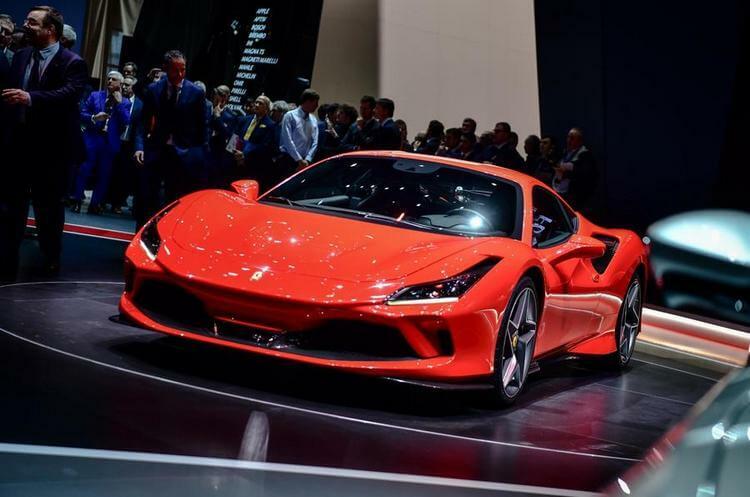 However, Ferrari fans will definitely want to look for one thing: the new Ferrari F8 Tributo. 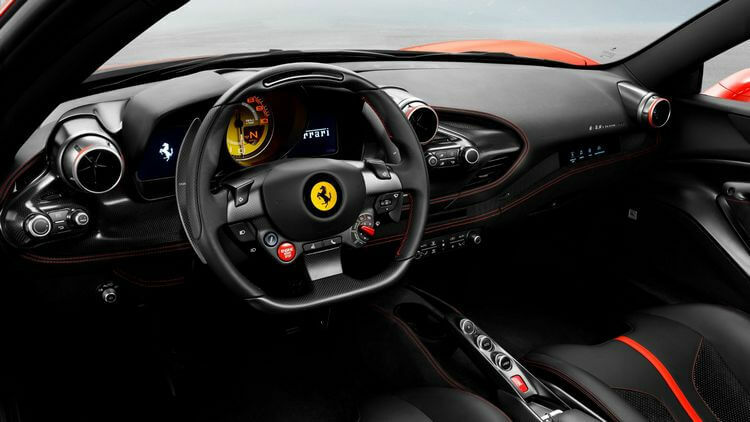 The car is the direct replacement to the 488 GTB and it brings quite a number of significant upgrades to the table. 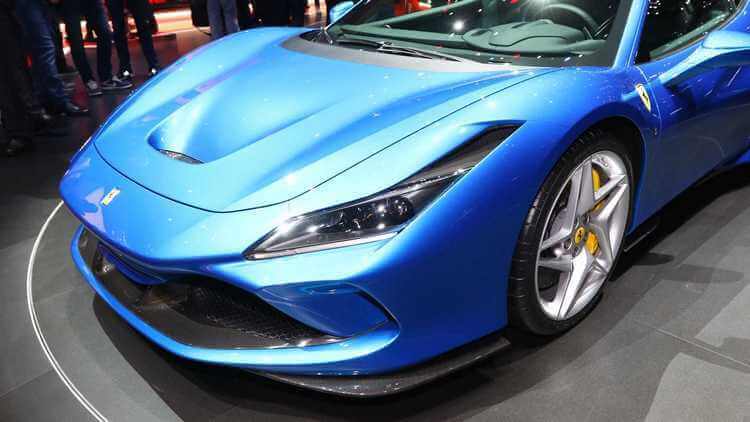 And with no further ado, let’s have a Ferrari F8 Tributo first look! 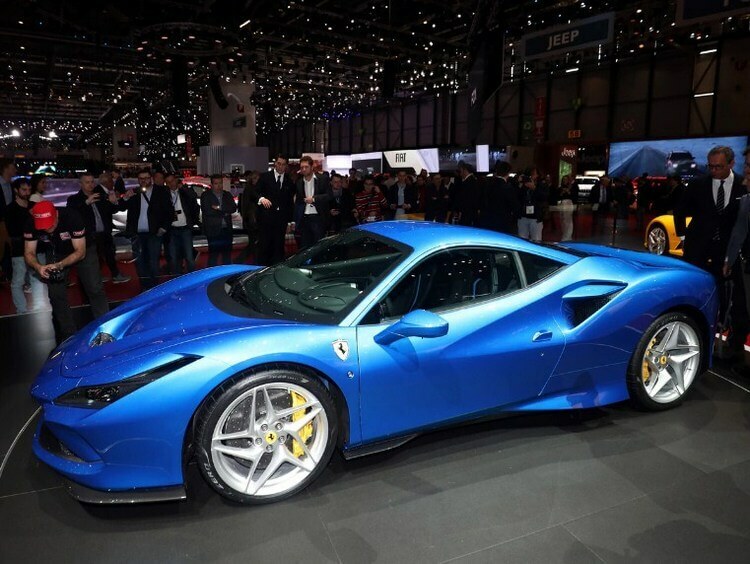 Ferrari F8 Tributo can be considered as the new addition to Ferrari’s new generation, alongside with the 812 Superfast (which replaces the F12berlinetta) and the GTC4Lusso (which replaces the Ferrari FF). 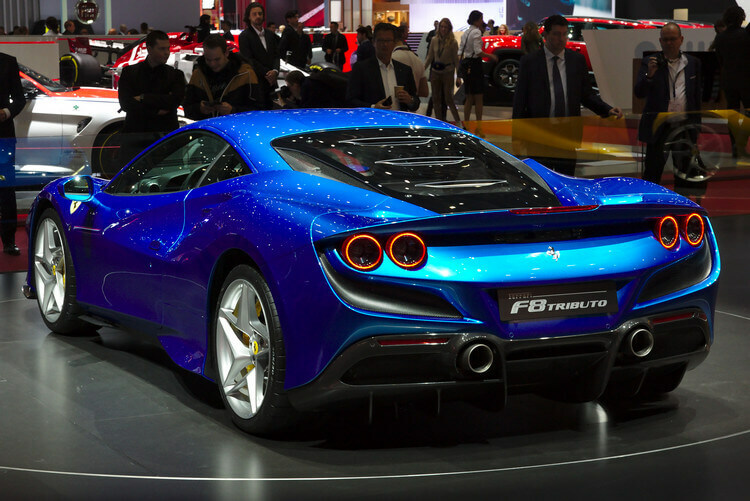 And as mentioned, the F8 Tributo features quite a number of significant changes in both terms of design and power. 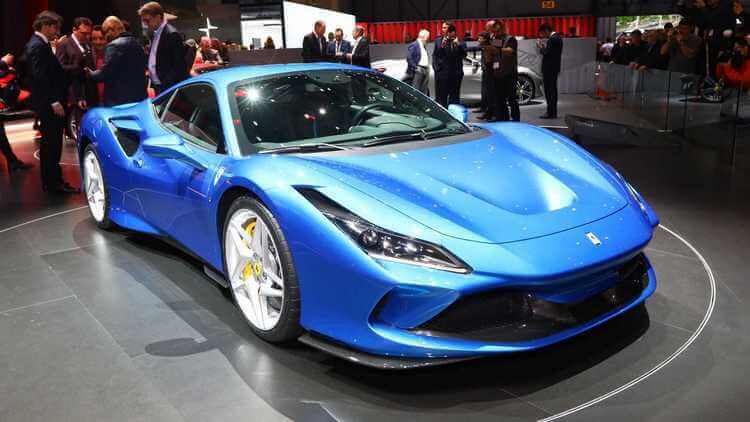 In terms of exterior design, the F8 Tributo seems to combine the elements between the previous-gen Ferrari 488 GTB and the Pista. There are some few similar components like the door, the window glass, and the roof. But other than that, its design is pretty much reworked. In case of aerodynamics, the F8 Tributo does borrow a lot from the Pista. From the front, we can see the notable S-Duct which lets the air coming above the front splitter and to the hood. It is said to provides 10% more downforce, while its overall weight is 40kg lighter than the 488 GTB. In addition, we can also see the front getting reworked, notably the new headlight design which looks narrower and at the same time, it has more space above for air intakes which lead the air to the brakes. Looking below, there are three gills from each side which let the air out from the radiator. Coming to the side, we can still some aerodynamic tweaks, especially the aero-piece below the two sides. Then coming to the rear, the air can be seen flowing through the rear spoiler which wraps around the taillights. 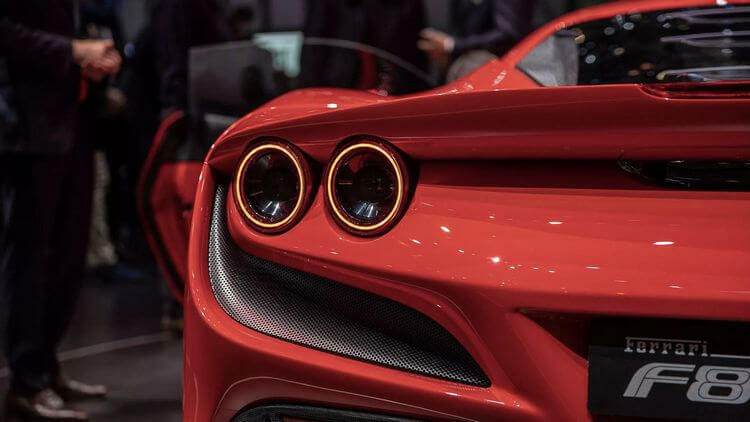 And talking about the taillights, the F8 Tributo actually features round twin-light cluster on each side, unlike the 488 GTB and the Pista which has only one for each side. Exhaust pipe-wise though, it has the similar large exhausts and aggressive fins. 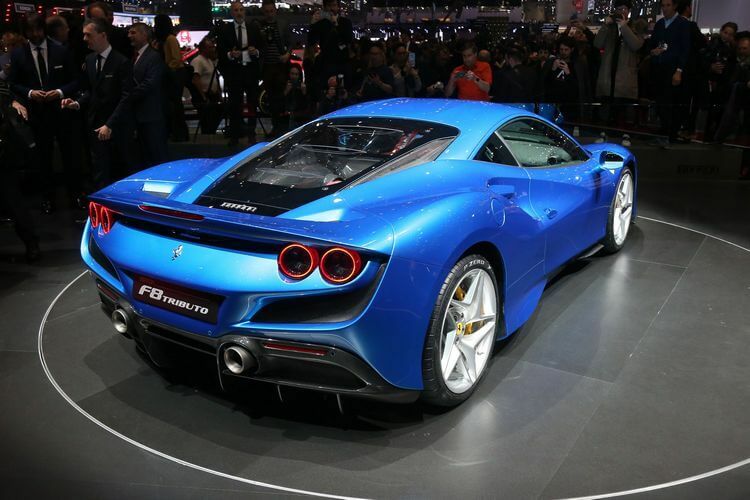 And finally, let’s talk about this Ferrari’s name – “F8 Tributo”. In Italian, “Tributo” means “tribute”, so what does this car tribute to? Well it is about the “F8” which refers to the incredible 8-cylinder V-8 engine. That is what this care tribute to: the 3.9-litre twin-turbo V-8 engine – the revered engine which is one of the best V-8 of this decade. It can produce a whopping 720 horsepower and 568 lb-ft of torque. Compared to the 488, that means it is 50 more hp and 7 more lb-ft of torque. The car can accelerate from 0 to 60mph within 2.9 seconds, which is already 1 second faster than the 488 GTB. And as Ferrari claimed: the F8 Tributo is now their most powerful V-8 car ever created. 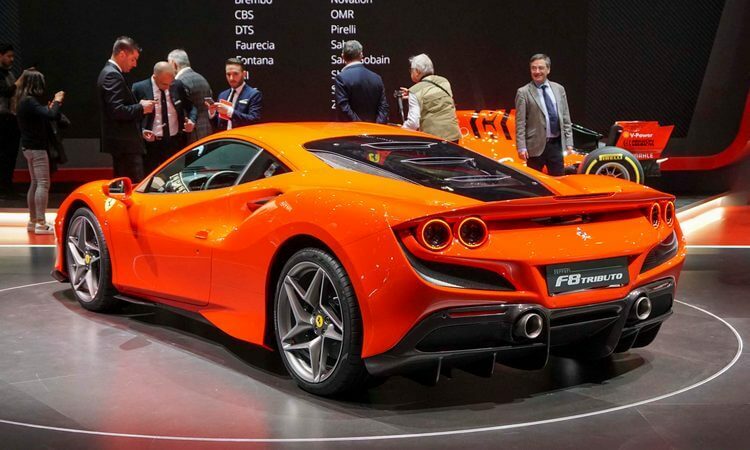 Judging by its capability, it seems the F8 Tributo was built with the McLaren 720S as target in mind. But will it be able to topple the mighty McLaren? We will have to wait and find out. Until then, thank you and stay tune for more news in the future!